Walk into any Whole Foods Market (WFM) and you are met with an array of vibrantly colored vegetables, leafy greens and barrels of fruit: The store is an emporium to healthy eating. Now, the company is wading deeper into the preventative health care market. 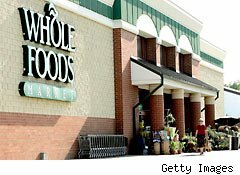 In August, the nation's largest natural foods chain opened Wellness Clubs in five test markets around the country to try out a new concept: a membership program that provides lifestyle evaluations; nutrition, cooking and health classes; and 10% discounts on hundreds of healthy food items. According to the store's website, the mission behind the program is create more support and resources for healthy eating. The test markets are Dedham, Mass., Chicago, New York City, Princeton, N.J., and Oakland, Calif. More locations could roll out in 2012 if the programs prove successful. "We've found that providing the support of like-minded individuals greatly increases the success rate for people looking to make positive lifestyle changes," said Dr. Alona Pulde. Unfortunately many of our health-care problems are self-inflicted: two-thirds of Americans are now overweight and one-third are obese. Most of the diseases that kill us and account for about 70% of all health-care spending-heart disease, cancer, stroke, diabetes and obesity-are mostly preventable through proper diet, exercise, not smoking, minimal alcohol consumption and other healthy lifestyle choices. However, the price tag for access to the healthy living clubs isn't cheap: a one-time membership fee is $199 along with $45 annual dues.